If you've come here for a Fun read, you're in the right place! Aunt Tillie is my pen name for writing these fun-filled novellas in the Miss Fortune World. 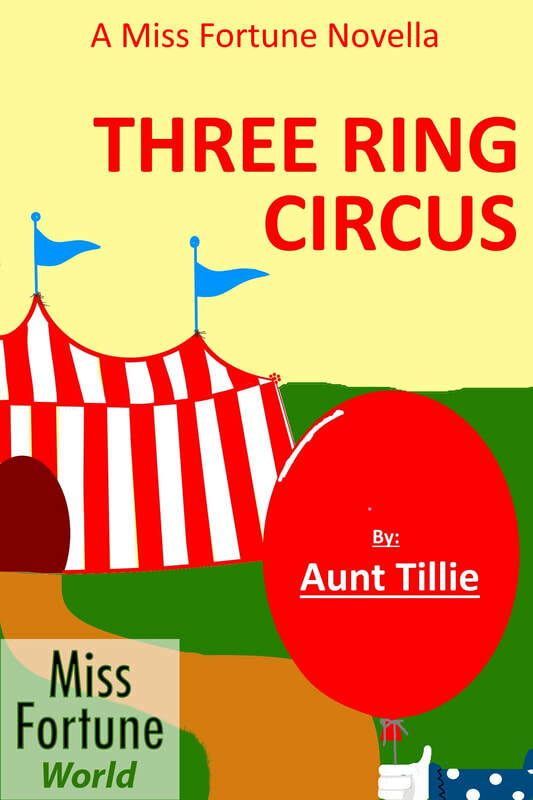 Aunt Tillie is not just a pen name, it's the persona of a little old gray-haired lady who's afraid of spiders. Don't mess with me while I'm writing, and leave the coffee pot on. Aunt Tillie writes Fan Fiction in Jana DeLeon's hilarious and entertaining Miss Fortune series, a string of New York Times best sellers about a female CIA agent who is hiding out in the small town of Sinful, Louisiana. Louisiana Longshot was Jana DeLeon's first Miss Fortune book, followed by many more. You should definitely read Jana Deleon's series before reading Aunt Tillie's Fan Fiction. ​Permission to write in this series granted by Jana DeLeon and J&R Fan Fiction. ​Fortune, Ida Belle and Gertie are baffled by a mysterious midnight construction project, and they turn to the Mob for assistance. Meanwhile a dark and blurry photograph puts the entire town on high alert, and the election recount goes sinfully haywire. It's all fun and games until bodies start turning up... and Fortune might just be the next victim. 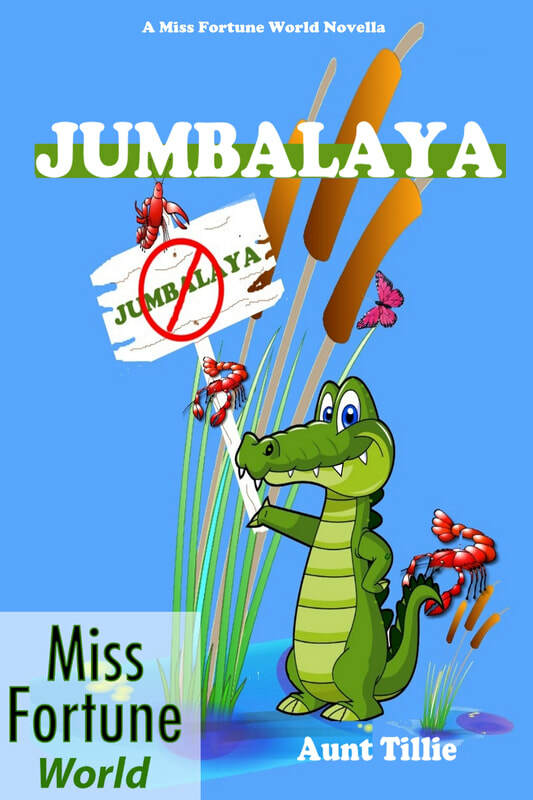 Excerpt from Jumbalaya: "Hopefully," Gertie commented, "Celia's burst into flames. That's the first sign you're going to hell, you know. Just whoosh... spontaneous combustion and it's all over within the hour. But you can bet, it's a long and agonizing hour." Following Jumbalaya, now comes Pirate Booty. Ida Belle brings home an old Pirate costume from an Estate Sale, and is soon convinced that the costume once belonged to notorious pirate Jean Lafitte. She's also convinced that Lafitte has buried a treasure chest deep within the woods surrounding the small Louisiana town of Sinful. With clues from some old maps, a museum, and a surprise revelation provided by Merlin the cat, Fortune, Ida Belle and Gertie begin the hunt that could bring them riches beyond their wildest dreams, but could also bring Fortune a long prison sentence. Fortune has a new admirer and apparently, so does Ida Belle. Gertie gives Ida Belle the bird, and buried treasures aren't all they're cooked up to be. Buns and Guns is the third Miss Fortune book by Aunt Tillie, and will be re-edited before release. ​ Three Ring Circus, below. When an obnoxious little runaway circus clown is discovered face-down in Deputy LeBlanc’s front yard, evidence points to the good deputy as the perpetrator. It’s up to Fortune, Ida Belle and Gertie to find out who the real killer is and clear Carter's name. To do that, the girls must don disguises and infiltrate the circus. Seriously, what could go wrong? Chronologically, this book should be read after reading Jana DeLeon's latest Miss Fortune book, Swamp Spook. Now available at Amazon, Barnes and Noble, Kobo, and other eBook stores !! Click on the link to locate your copy!